It's the 9th Annual Chesapeake Real Ale Festival, Saturday 20 October 2012, at the Pratt Street Ale House, in downtown Baltimore, Maryland ... and I'll be there. Co-sponsored by the Chesapeake branch of the SPBW and host Pratt Street Ale House, the Chesapeake Real Ale Festival will feature more than 40 local, regional, and international cask beers from over 20 breweries. Steve Jones (brewer for Oliver Ales, the festival host). I'm the moderator. We'll be discussing the brewing of cask ales, how to serve cask ales (at non-brewing pubs and at festivals), and whether there is an evolving 'American-style' of cask ale. This is the region's premier Real Ale event and it rocks every year. If you only go to one event this year...this is the one to hit! UPDATE: Photos from the fest: here. Admittance entitles a festival go-er to sample as much as she cares to, within reason! Food is available at the pub's restaurant. Musical acts Black Falls and Rob Fahey will perform. Read more at Facebook. Follow on Twitter @prattstalefest. 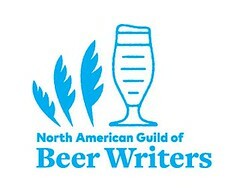 The Real Ale Festival is part of Baltimore Beer Week 2012, which runs Friday 19 October through Sunday 28 October. 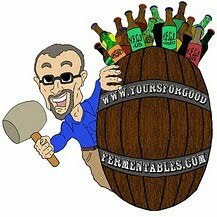 Read more about cask-conditioned 'Real Ale' at: Cask Ale USA.